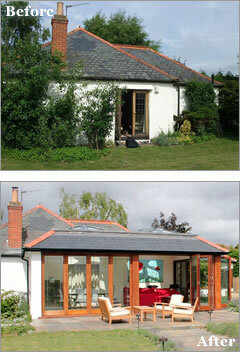 THE TIME has never been better to improve your home with a Malbrook conservatory, orangery or garden room. In the face of high moving costs many homeowners have welcomed government plans to relax planning laws, and invest in "improving, not moving". 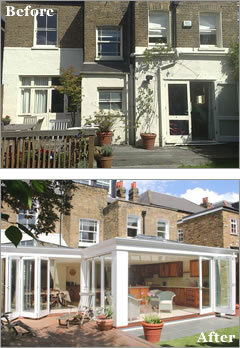 Augmenting key living space – such as through a conservatory, orangery or garden room - can dramatically increase your property’s value by up to 25 per cent, according to a study by Nationwide Building Society. This is a view shared by the Daily Telegraph, which stated even during the peak of the recession, property values could considerably increase with a conservatory - in central London, Kay & Co. calculated a lift in value of between £800 - £1,500 per square foot. Industry experts agree the downturn is a good time for home extensions, with a stagnating property market and increasingly high costs of moving house. After disincentivised sellers have covered surveys, solicitors’ fees, mortgage valuations, loan arrangement fees, council searches, removal costs and potential multiple agency fees (up to 3.5 per cent), they are left with stamp duty – now running at 1 per cent on homes from £125,000-£250,000, 3 per cent from £250,000 to £500,000, and 4 per cent on homes from £500,000 to £1 million. Houses exceeding £1 million face a stamp duty of 5 per cent, increasing to 7 per cent on those selling in excess of £2 million.